WTHN, the first modern acupuncture and healing center founded by Dr. Shari Auth and Michelle Larivee, has officially opened in New York. WTHN is where ancient medicine meets modern science to deliver effortlessly restorative wellness therapies through acupuncture, cupping, and herbs. Think: the Drybar and SoulCycle of acupuncture & wellness--instead of instructors, WTHN has healers. Inspired by their mutual love of acupuncture and shared vision to help others lead healthier lives, Michelle Larivee and Dr. Shari Auth cofoundedWTHN to bring the healing powers of these time-honored, ancient healing modalities to a larger audience. WTHN aims to bridge the wellness gap and bring affordable, accessible, feel-good healing to the world. By demystifying acupuncture and herbs through accessible online and in-person experiences, WTHN removes the stigma that oftentimes comes with integrated natural healing by synergizing traditional Eastern medicine with an elevated self-care experience. 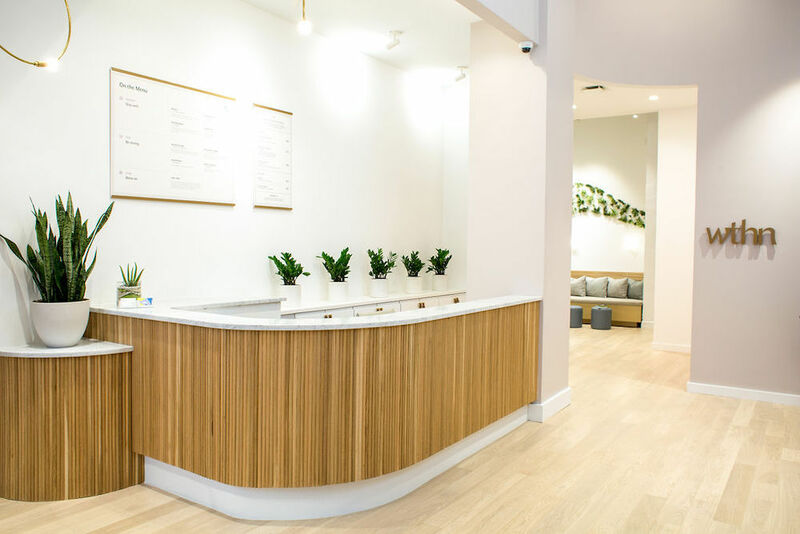 With beautiful branding designed for a modern, wellness-driven lifestyle, WTHN’s mission is to provide user-friendly, fast, and effortless access to these healing modalities. WTHN does more than provide acupuncture treatments—it reimagines what natural healing looks like. WTHN’s proprietary healing methods are designed by Dr. Shari Auth, licensed acupuncturist and board-certified herbalist, and a leading holistic health practitioner in New York City for over two decades. Her signature treatments that combine ancient wisdom from global traditions with arduous scientific knowledge and deep intuition have attracted celebrity clientele. All of WTHN’s Healers are licensed acupuncturists with a graduate degree in Chinese Medicine and a minimum of three years of rigorous training. Instead of bouncing around from one place to the next, enjoy the innovative convenience of having a guiding treatment menu that encompasses a wide range of concerns and ailments, all in one place. WTHN’s acupuncture and herbal menu aims to provide easy to understand and relaxing treatments to help you prevent, heal, and glow—so you can leave feeling whole. Not only are the treatments amazing and customizable, but the space is beautifully designed to transport any New Yorker from the bustle of the city to an oasis of wellness through an incredible curated shoppable wellness area, customized sound healing therapy, and a wellness zen lounge with complimentary herbal tea. WTHN offers so much more to amplify your overall senses--elevating your typical acupuncture and healing experience from an über-traditional or clinical environment to a relaxed, contemporary one. Visit wthn.com for more information.